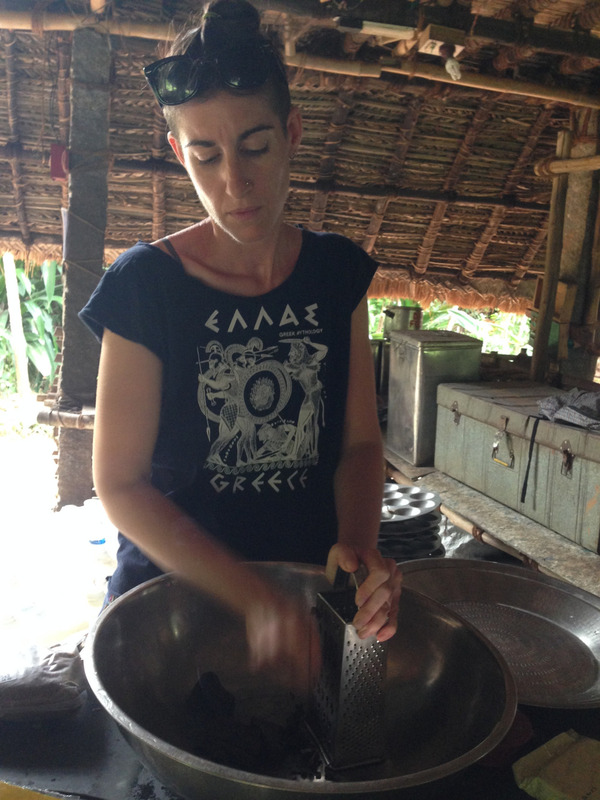 Adventures in Ladu-Making — Kate Friedman Consulting, Inc.
Every Friday Sadhana Forest hosts a tour of the community and forest followed by our Eco Film Club and delicious vegan dinner. We invite members from surrounding communities to join us for the entire afternoon and evening from 4:30-9:30pm. Part of this event includes homemade ladus, which are spherical dessert bites usually containing dates, jaggery (unrefined brown sugar), coconut, and crushed nuts. Since these are expensive ingredients we usually make them with a combination of toasted ragi and dal flours, jaggery and fresh coconut. They are still a treat despite these somewhat bland, everyday ingredients. This week I took on the role of ladu-maker and decided to search out some luscious ingredients. My super amazing friend Lark (who is also our founder’s assistant and the liaison between all three Sadhanas) took me on a ride to Pour Tous, a local market that sells ingredients in bulk and at close to cost. 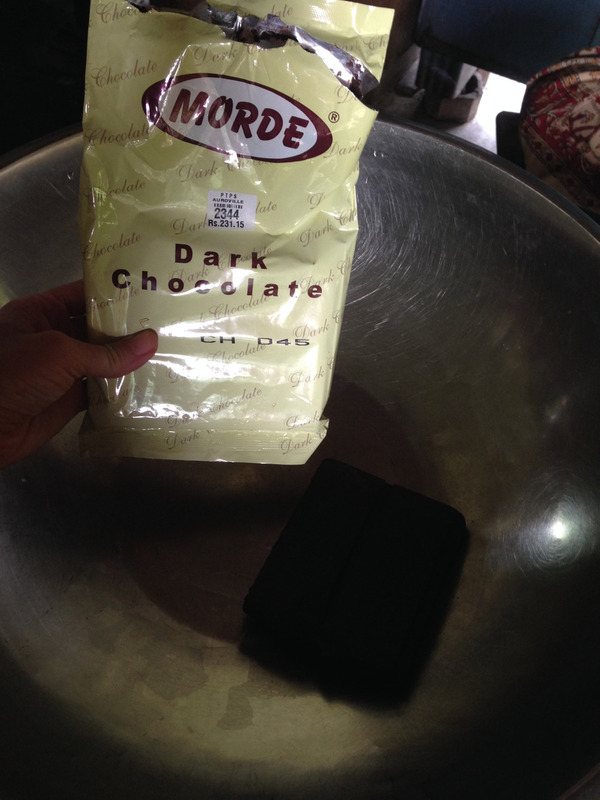 We were overcome with ideas and ended up purchasing cashews, black sesame seeds, toasted coconut, puffed rice, and a huge bar of dark chocolate. We were running late so we also got powdered jaggery (so we wouldn’t have to melt the giant chunks we have at home). 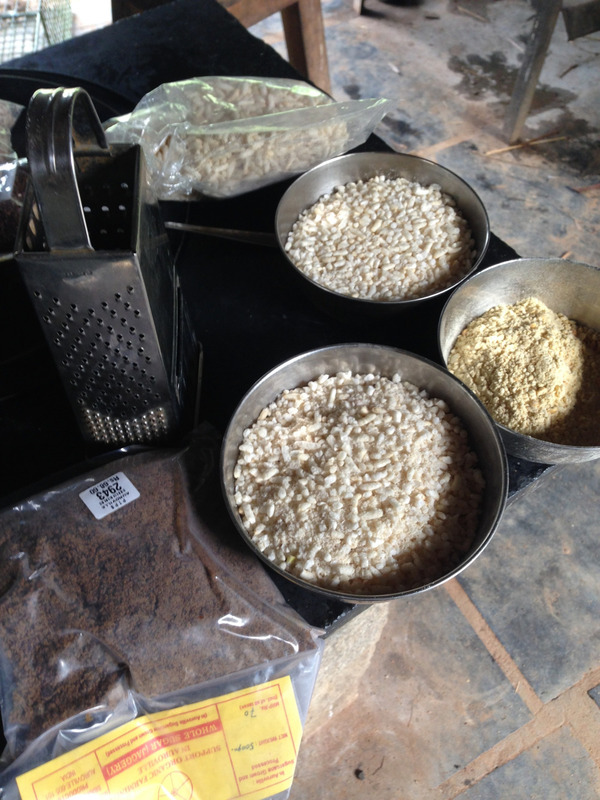 As soon as we arrived back at Sadhana we set to work, grating the chocolate, and melting it with the jaggery. Then we pulsed in our food processor the cashews, puffed rice, and some puffed dal from our food cabinet. We mixed it altogether and realized it was too wet to roll into little ladu balls. So we quickly ran to pulse more puffed dal and we saved the batch. It made over 100 ladus to treat our visitors and fellow community members. By the end of the evening we were all walking around with chocolaty fingers and smudges on our faces. Super happy night. We are now ready for an Eco Film and dinner! Older PostCooking My First Meal for 45 People!